NARS’ Ecume nail polish is a milky white that gives a silky finish to both short and medium-length nails. This polish is perfect for professional wear, but is just as pretty for an evening on the town. The slightly yellow tint in the polish makes it just right for women with warm undertones. 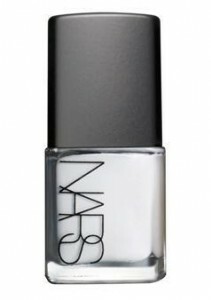 It’s about $18 on the NARS website, or at fine department stores like Nordstrom.